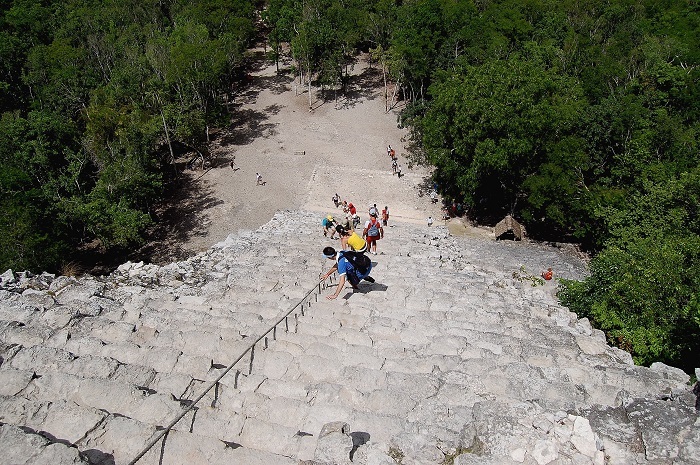 Cobá is an ancient Mayan city that nowadays serves as an important archaeological site, located in the Free and Sovereign State of Quintana Roo on the Yucatán Peninsula, within the United Mexican States. 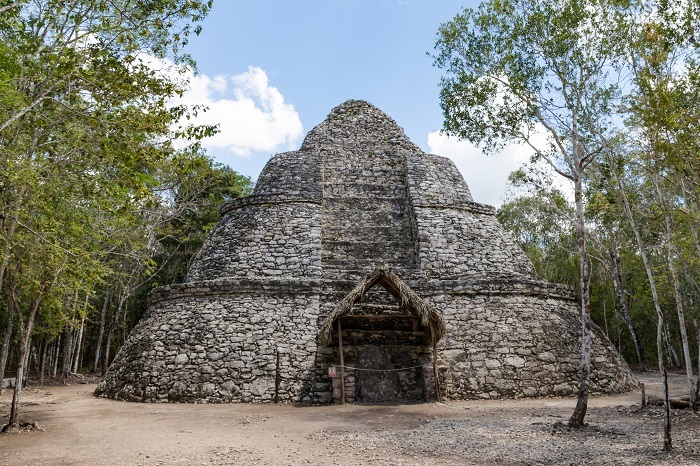 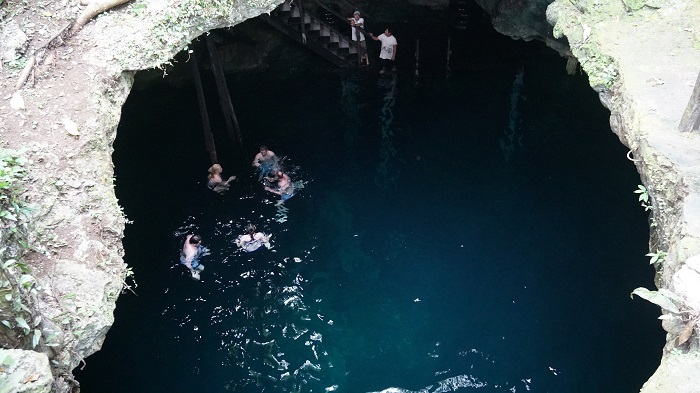 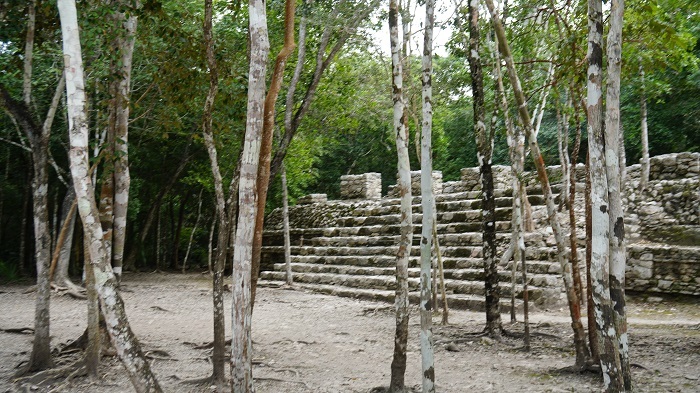 Due to the remote location in the Yucatán jungle, the archaeological site is considered not to be well developed, and there aren’t that many people who come to visit it. 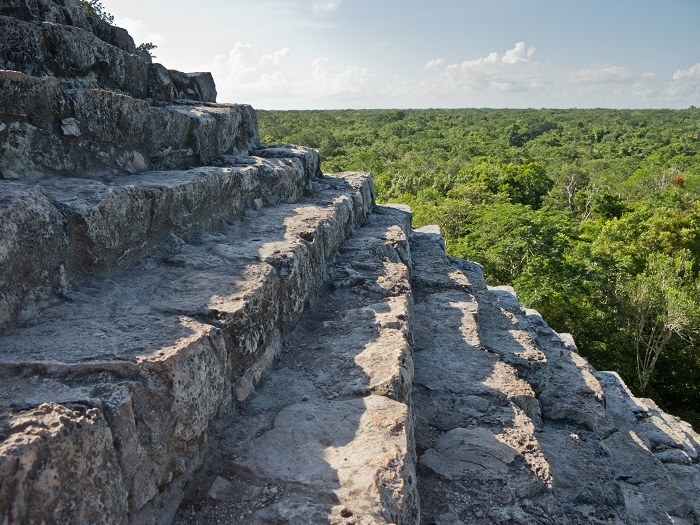 Still, this pre-Columbian Mayan city had some 50,000 inhabitants in its peak, even though some archaeologists suggest that there could have been more due to the fact that the city stretches to an area of some 80 square km (31 square mi). 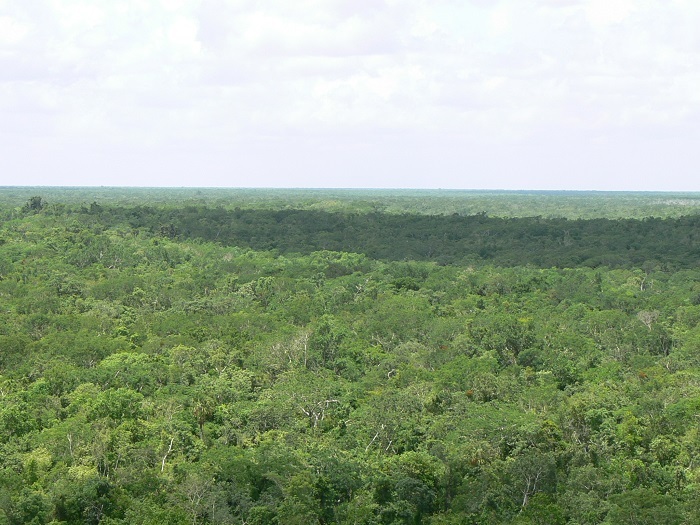 One of the more important reasons for the construction of such city in this area is that the city itself is surrounded by a vast jungle and lagoons, in addition to the numerous sinkholes that can be found around the city, offering not just some protection, but also the opportunity to develop agricultural activities with the plentiful sources of water. 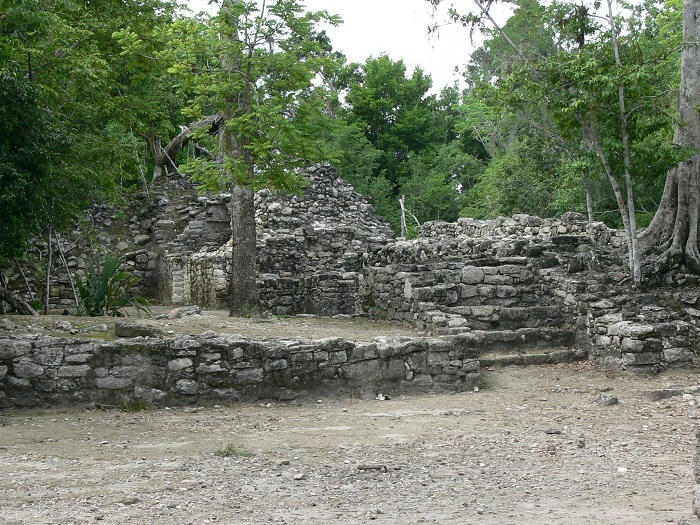 There were roads which the locals called sacbe or white road, connecting the city center and then moving towards the outer limits, with the purpose of improving the entire commerce with the other Mayan villages, and interestingly enough, they are somewhat similar to the construction of former Roman roads, a road that is constructed with stones and white dust. 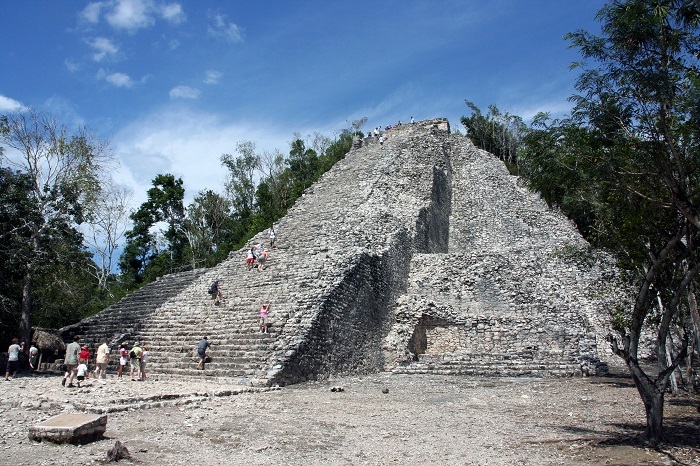 There is a group of large temple pyramids called Nohoch Mul, among which the tallest and more impressive is Ixmoja which stands 42 meters (138 feet) above the city. 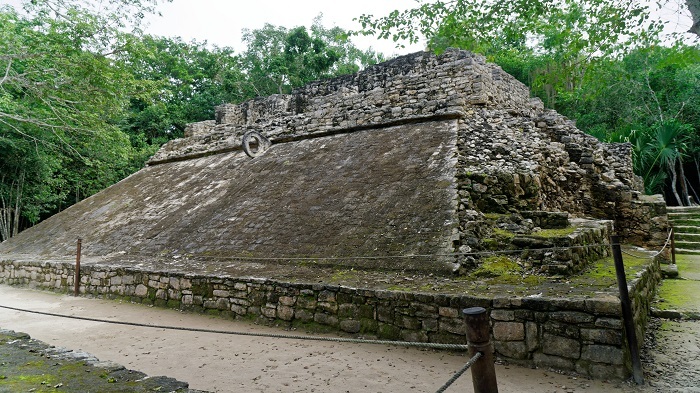 It was in the city that carved ancestral stones, or steles were found telling about important events of the nobility ot main astronomical happenings, especially one event that receives more attention which is known as Estela 1. 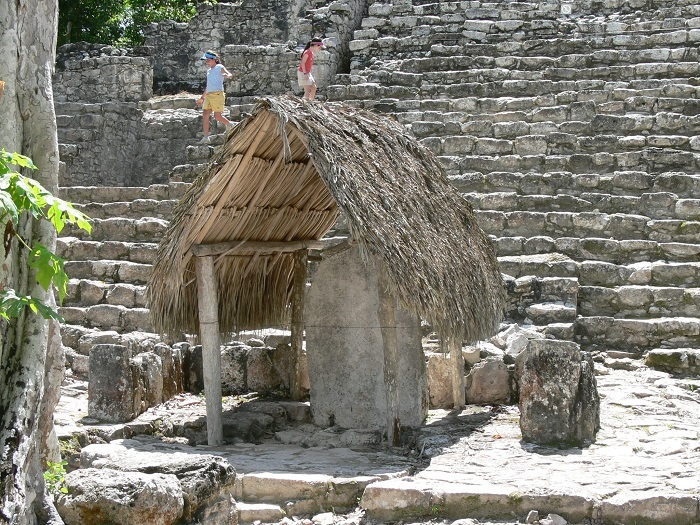 This event represents the Mayan priests or scientists who claimed that the world will come to an end, or rather begin a new era on 12 December 2012. 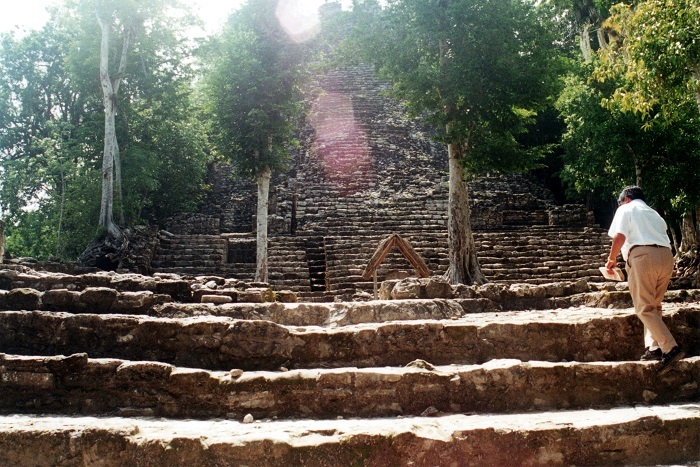 Nonetheless, in order for Cobá to develop for a long period as possible, the city leaders must have established some military alliances or even arranged elite marriages with the other larger cities that were to the south, which is why in some parts there are traces of Teotihuacan architecture visible to some of the structures. 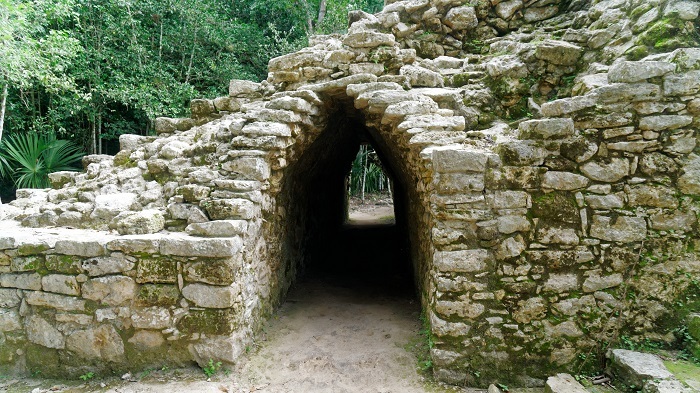 The last known sign of inhabiting the city is considered to be right at the time the Spanish conquests of the peninsula, which is circled around 1550, when the archaeologists are stating that the city was completely abandoned that year. 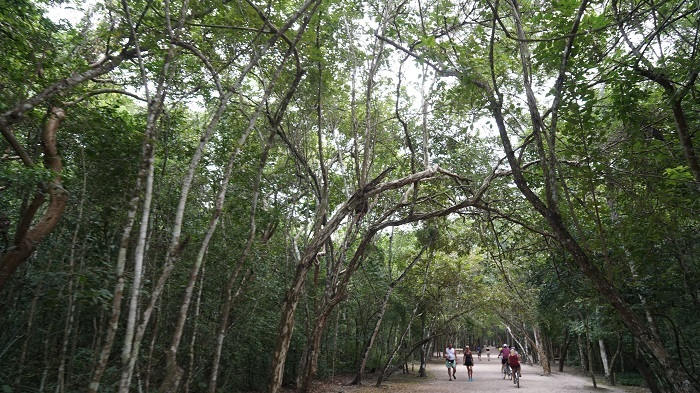 Nowadays, with the modern archaeology, the city is divided into four groups, and due to their distance, the best way to explore the entire site is by riding a bicycle. 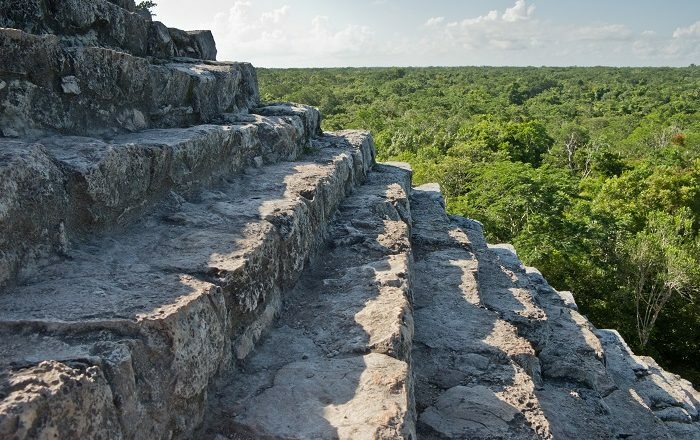 In that way visitors would be able to see the entire road network that was well developed, and every single structure that has been in some way preserved or discovered. 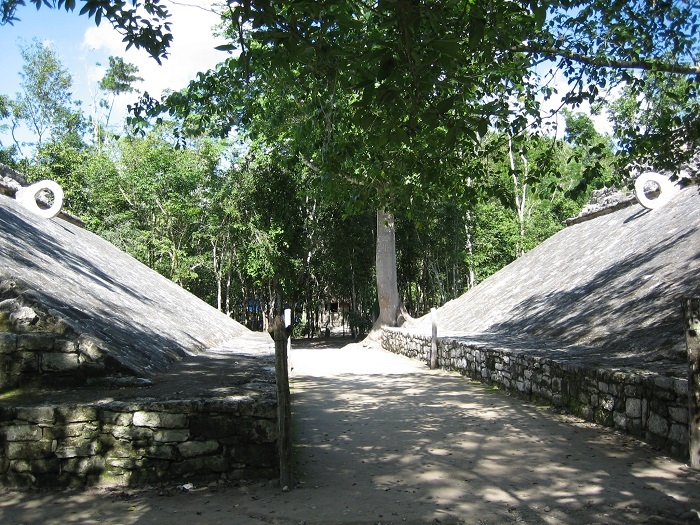 All in all, a great example of a Mayan city that should be preserved in its full state as it is, a city which was way ahead of its time, even though it was considered to be constructed in a time where people were limited to resources and knowledge as we are today.